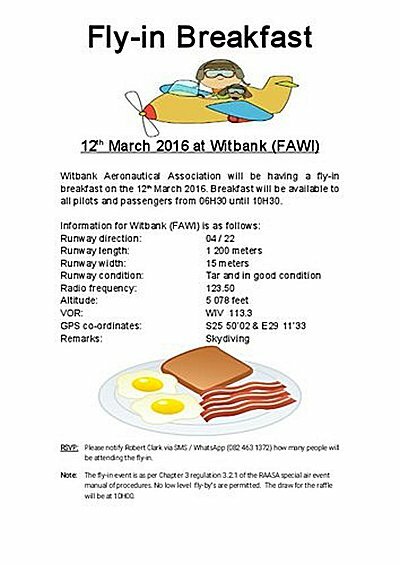 12: Witbank fly in breakfast. 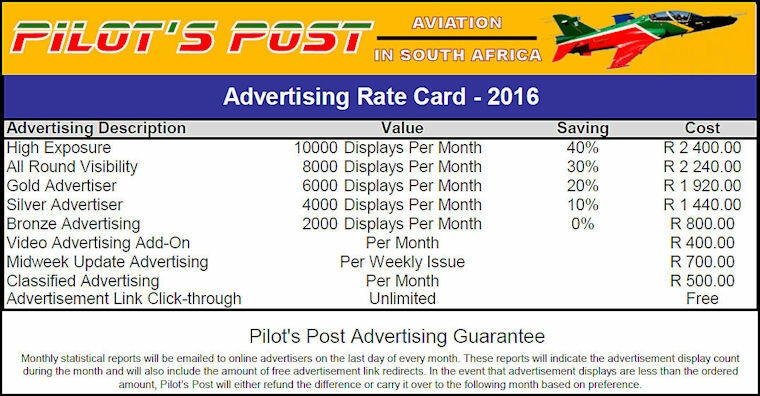 Any interested parties to Contac Rob Clark @ 082 463 1372. 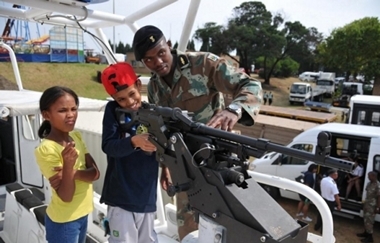 The South African National Defence Force hereby gives notice to all members of the public in the Nelson Mandela Bay Metropolitan and the surrounding areas of imminent road closures and noise pollution, due to the upcoming military activities related to the Armed Forces Week and Armed Forces Day military parade from the 13th of February till the 21st of February. 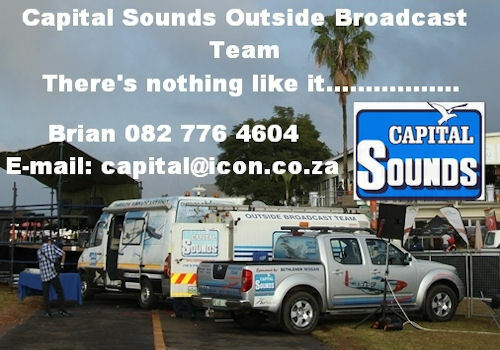 Members of the public can tune into Radio 104 FM from Wednesday the 17th of February to follow all Armed Forces Week and Armed Forces Day celebrations and activities. Diamond's Lycoming IO360 powered 2016 DA40XLT is equipped with a long list of standard features and equipment that now also includes GARMIN's Electronic Stability & Protection System and GARMIN's new ADS-B In/Out and Mode S GTX-345R Transponder. "GARMIN's Electronic Stability and Protection System is an effective active safety feature that helps to avoid loss of control, the leading cause of fatal accidents. "said Peter Maurer, President and CEO of Diamond Aircraft Industries Inc. (Canada). "It is an effective safety enhancement, consistent with our proactive approach of active safety first and we are pleased that we are now able to offer it as standard equipment on all of our GARMIN GFC700 Automatic Flight Control System equipped aircraft." The DA40 series offers a superb balance of performance, comfort, and efficiency to please private pilots, while delivering the reliability, durability, and high resale value, expected by high utilization training operators and leaseback owners. With over 1,800 DA40's delivered since 2000, a superb safety record and a choice of jet fuel or avgas piston engines, the DA40 presents a versatile, well proven yet technologically advanced 4 seater for private pilots and commercial operators alike. Diamond produces a full range of high quality certified all composite aircraft including the 2 seat DA20, the 4 seat DA40, 4 seat twin engine DA42 and 7 seat twin engine DA62. Diamond uses proprietary lead-free jet fuel piston engines, made by Austro Engine GmbH of Austria, for the DA40, DA42 and DA62. Diamond applies modern technologies to achieve high fuel efficiency, low noise, excellent performance and safety. Marenco Swiss helicopter announced its 6th participation at the Heli-Expo in the USA on the occasion of the 2016 Helicopter Association International Convention in Louisville, Kentucky. 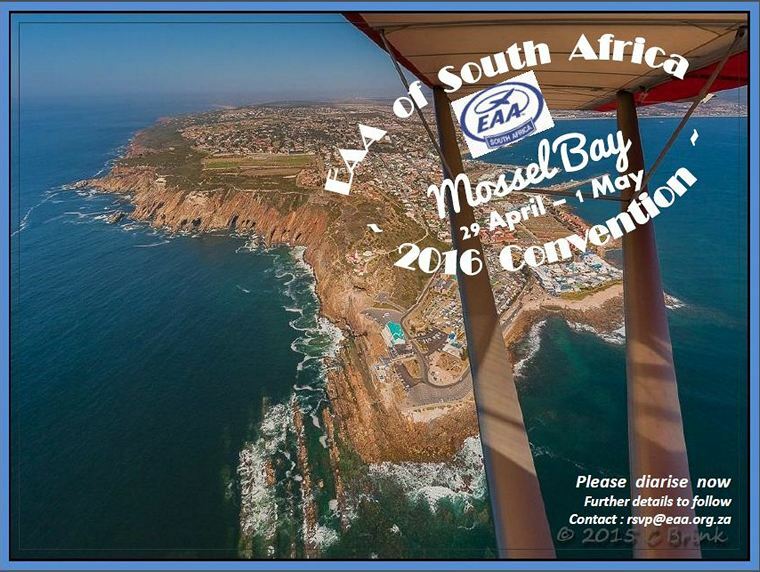 The event will be held from the 1st to the 3rd of March 2016. Marenco Swisshelicopter will display a full-scale mock-up of the SKYe SH09 single-engine helicopter. The company will also be featuring newly developed optional equipment that will be of great use and essential to the utility and multi-mission segments of operations. 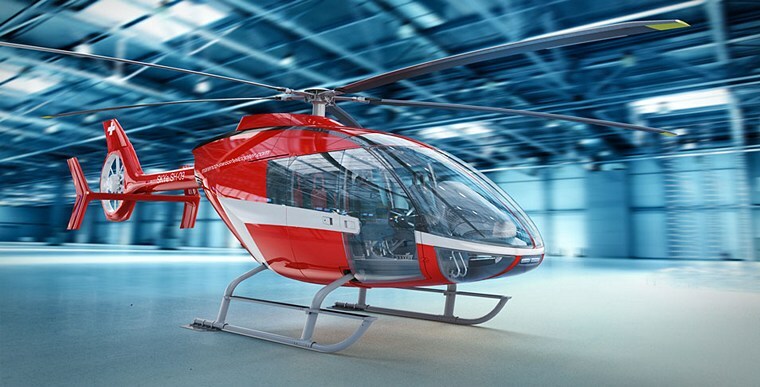 Mrenco is raising the standards for the benefit and future of all helicopters. With this participation, the team is excited to keep the market and the customers informed about the on-going progresses of the flight-test program, about the development of the company's infrastructure and production capacity. The team is also targeting to generate new interest from prospects around the world as every order and expressed intent strongly supports the development. 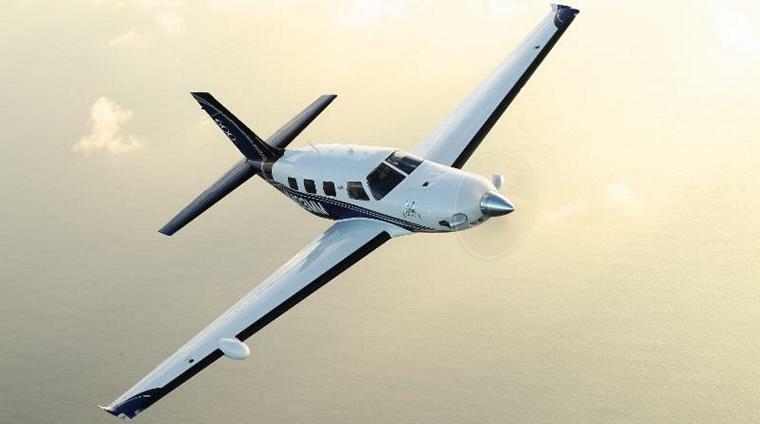 Piper Aircraft has announced plans to participate in Singapore Airshow 2016. 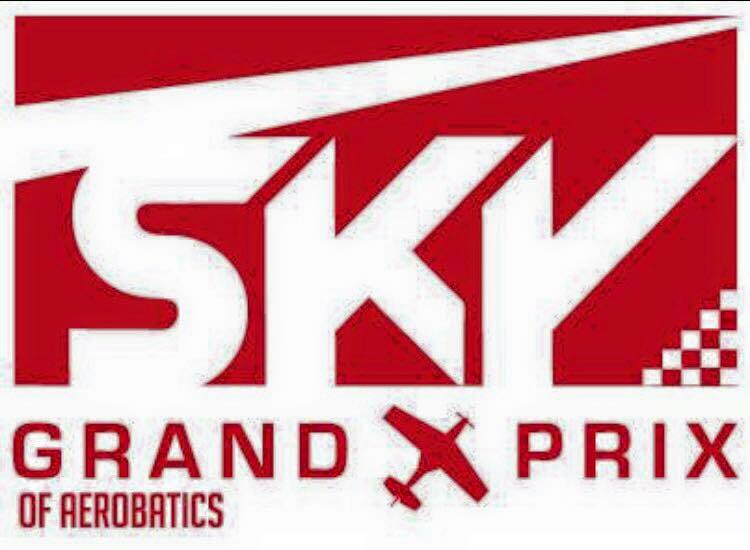 The aircraft company will attend this year's event, one of the largest and most prominent aerospace exhibitions internationally, to be held February 16-21 at the Changi Exhibition Centre and will host a press conference at 4:00 pm on February 16 in functional room 5. The press conference will cover several significant announcements and will provide an update on the Piper M600 program. "This venue provides the perfect opportunity to interface with our customers, prospects and prominent leaders in the industry and showcase our entire product line," said Drew McEwen, Piper Vice President of Sales and Marketing. "The Singapore Airshow is a premier event to show and promote Piper's M-Class products, which offer the most advanced safety features found in any six-place single-engine high performance piston or turboprop aircraft in the world, as well as the entire line of reliable and proven trainer aircraft." Asia's largest aerospace event hosts a variety of special features and multiple events for the aerospace community to connect and collaborate. Conferences, forums, and aircraft on display provide a robust environment for forerunners in the industry, as well as aviation enthusiasts. 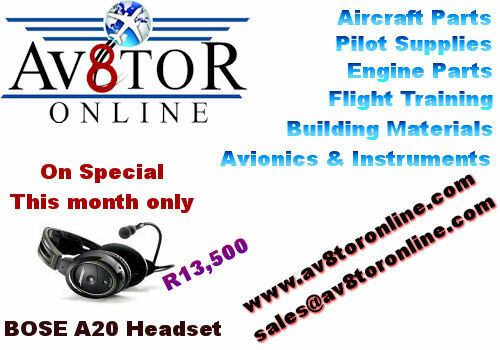 Piper's authorized Asian dealer, Wings Over Asia, will also be in attendance. Singapore Airshow is Asia's largest and one of the most important aerospace and defence exhibitions in the world. The latest state-of-the-art systems and equipment, together with their related technologies and developments, are displayed by top aerospace companies from around the world at this global exhibition. 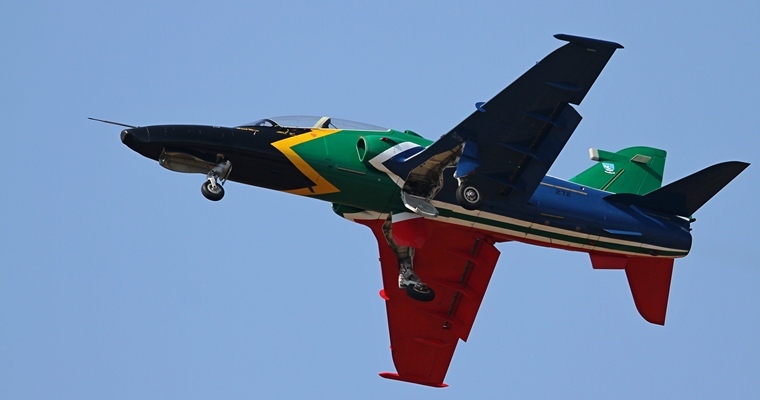 Conferences, forums, special features, static aircraft and acrobatic displays all contribute to the event's highlights. The show attracts an unprecedented network of international attendees from every corner of the globe. Dornier Seawings GmbH has selected Diamond Aircraft Industries Inc. (Canada) to produce the SEASTAR's all composite airframe. The SEASTAR is the world's most advanced amphibious aircraft, featuring a purpose built design, modern technology all composite corrosion free airframe, modern glass cockpit, retractable tricycle landing gear and twin centreline mounted industry leading Pratt & Whitney Canada PT6 turboprop engines. "We're excited to be producing the airframe for the Dornier Seastar" said Peter Maurer, President and CEO of Diamond Aircraft Industries Inc. (Canada). "It is a sophisticated and substantial aircraft with an MTOW of over 10,000 lbs and capacity to carry 2 crew plus up to 12 passengers. Thanks to its unique design features the SEASTAR is superior in every important measure such as speed, range, endurance, direct operating cost, to name a few. While the large fuselage and one piece wing are bigger than the typical Diamond components, our production of similarly sized structures for the D-JET program and other contracts, gives us the experience and ability to complete this challenging task. Although the Seastar is entirely different than any Diamond model, there are significant similarities in design philosophy and production methods that make this an excellent fit. Both Diamond and Seastar aircraft designs feature no life limit composite airframes with failsafe and redundant design concepts, both are produced using low temperature, out-of-autoclave curing processes for better field reparability and both take a similar overall design approach to safety. We are confident that the Seastar will be a great success and are pleased to be playing a role in its entry to the market worldwide." "We selected Diamond for several reasons", said Dr. Albert Halder, President and CEO of Dornier Seawings GmbH. "Diamond was responsive to our needs, has the necessary experience, resources and facilities and their airplanes are known for their high build quality. We will work very closely with Diamond, with our specialists' resident at Diamond's London facility to oversee the progress, support tooling and process development, and to provide engineering and production liaison with our team in Germany. 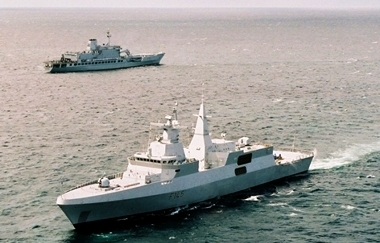 The initial contract, for the manufacture of the first ten ship sets, with options for subsequent units, includes significant tooling work to ready the Seastar for higher volume production. The first flightworthy components are in production, with delivery of the first airframe to the Dornier Seawings facilities in berpfaffenhofen, Germany, for final assembly and completion, scheduled for Q2 2016. Cirrus Aircraft announced that new aircraft shipments in 2015 exceeded 300 for the second year in a row as the Cirrus SR22 maintained its position as the best-selling airplane in its segment for the thirteenth consecutive year. New unit deliveries for 2015 totalled 301 while the global Cirrus fleet surpassed 6,200 total SR aircraft and amassed over seven million flight hours. In addition to new SR series deliveries, the revolutionary Vision® Jet program continued progress toward first customer deliveries in 2016. "2015 was a strong year for the enterprise, both for new aircraft deliveries and for the investments we made for the future," said Todd Simmons, President of Customer Experience at Cirrus Aircraft. "Delivering over 300 SR airplanes for the second year in a row is an impressive accomplishment, especially in light of some very challenging economic conditions in many export markets. Even so, Cirrus pilots, owners and small business operators continue to demand the unique and innovative options and features available only in the Cirrus high-performance, single-engine piston product line." Simmons added, "Just as important as new aircraft deliveries in 2015, major milestones were also achieved in the Vision Jet program while we broke ground on the Vision Center™ - our new Customer Experience centre in Knoxville, Tennessee. 2016 sets up to be another exciting year for Cirrus Aircraft's customers, partners and team members." The Vision Jet program continues marching towards first customer delivery as progress continues on systems testing and integration of the Cirrus Airframe Parachute System® (CAPS®). Numerous significant milestones were accomplished in 2015, including FAR Subpart B flight characteristics testing, flight load static testing, ultimate load parachute testing and more. Cirrus also unveiled the Perspective Touch™ by Garmin® flight deck and opened new facilities in Duluth for Vision Jet production. With over 550 orders, certification is planned for the first half of 2016 with deliveries set to begin shortly thereafter. Russian Helicopters (part of State Corporation Rostec) has delivered a Mi-171E helicopter with a superior comfort cabin to the government of the Republic of Uganda. The helicopter was delivered under the contract signed by Russian exporter Rosoboronexport in 2015. The Mi-171E helicopter supplied to Uganda is distinguished by its superior comfort cabin designed for 12 passengers. It is fitted with soft leather-wrapped armchairs and comfortable furniture made from fine wood. Enhanced sound and vibration isolation, a modern multimedia system with widescreen displays and numerous audio dynamics significantly boost flight comfort. Consumer convenience is ensured by a wardrobe, food station, toilet and luggage compartment. Landing and unloading made more convenient by installing folding ramp doors with stairs. Additionally, the Mi-171E was equipped with a new MBKhU air conditioning system with increased performance, small weight and size; it ensures comfortable temperature in the passenger cabin and crew compartment. The helicopter has modern flight and navigation equipment that enables safe flights at any time and in any weather conditions. Adjustment of cockpit instruments for night vision goggles will increase flight safety at night time. In addition, to increase safety, the helicopter is equipped with a ground proximity warning system that duly notifies the crew of a dangerous proximity of an obstacle, or ground or water surface in order to prevent accidents. The Mi-171 helicopter is a deep modernization of the Mi-8. The Mi-171 helicopter has a certificate issued by AR IAC as well as an approval of the type certificate in a number of Asian countries. It is operated in 30 countries around the world. An important notion on the Mi-171 helicopter is that it is produced with the use of aircraft technologies of UUAP (Ulan-Ude Aviation Plant, JSC). It has been confirmed that a new operational release of the Storm Shadow missile was carried out in the UK Ministry of Defence's Hebrides range in Scotland. The release - from the Italian Instrumented Production Aircraft (IPA) 2 - is part of work conducted to expand the safe weapon trajectory data envelope of the missile. 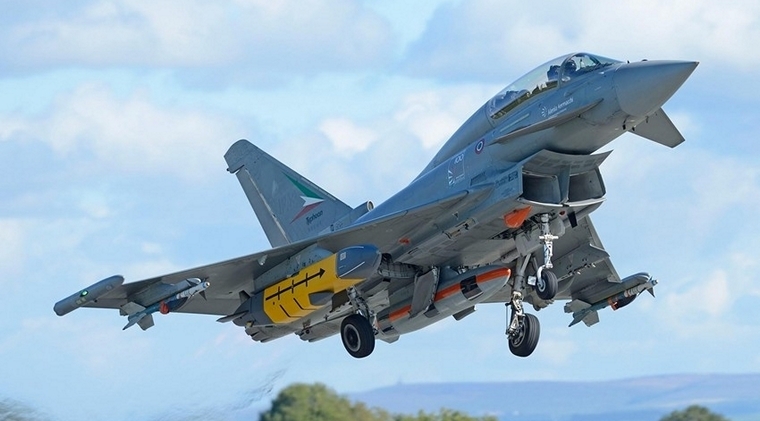 The test, which was led by Finmeccanica - Aircraft Division, with the support of Eurofighter, BAE Systems, Airbus Defence and Space, and MBDA, follows the completion of ground trials on the weapon and a successful release of Storm Shadow in November 2015. Commenting on the Storm Shadow tests, Enrico Scarabotto, the Italian Chief Test pilot who flew the IPA2, said: "The integration of the weapon further enhances Typhoon's potent multi-role and swing-role capabilities, adding new capability to strike in day or night, in all-weather conditions. Storm Shadow adds attack stand-off capability to Typhoon which now really accomplishes every possible role in the combat scenario. 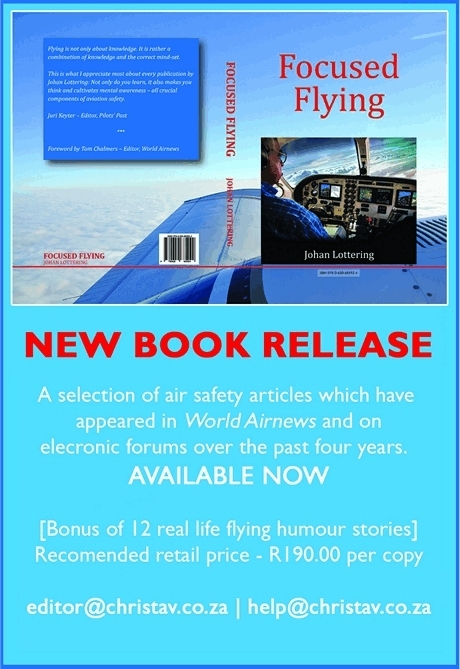 The aircraft retains excellent performance in an incredible low pilot workload cockpit environment, essential for a single seat multirole aircraft." Steve Greenbank, Director of Aircraft Programmes for Military Air & Information, BAE Systems, said: "These latest Meteor firing trials are another step forward in the integration of the missile onto the Typhoon aircraft, demonstrating they can operate safely, accurately and effectively. "2015 was a hugely exciting 12 months for Typhoon, with contracts placed for new capabilities and enhancements. The integration of Meteor further enhance the aircraft's abilities to ensure Typhoon maintains its position as the most capable, agile and enduring swing role fighter in the international market. These trials also form important maturity points for the UKs Project CENTURION plan, which will see Typhoon provide the continuous delivery of key combat air capabilities as Tornado moves towards its out-of-service date." In addition to Meteor and Storm Shadow, the integration of MBDA's Brimstone, part of the Phase 3 Enhancements (P3E) programme, is on contract for Eurofighter Typhoon. Brimstone is a precision attack missile with proven capabilities against both static and moving/manoeuvring targets. USA, Los Angeles: Divers recovered two bodies and wreckage of a plane off the coast of Los Angeles Sunday. The Beechcraft and Super Decathlon went down after what appeared to have been an in-flight collision. Authorities discovered a log book that helped them identify one of the planes and people on board, two men, ages 61 and 81. The other plane was expected to arrive at Torrance airport Friday but never showed is believed to be have been piloted by a 72-year-old woman. USA, Phoenix: Two people died when a P-51D Mustang crashed near the town of Maricopa, about 35 miles south of Phoenix. Preliminary information indicated the plane caught fire after crashing. The National Transportation Safety Board will investigate the crash. USA, Fort Myers: A woman aboard a Southwest Airlines flight into Southwest Florida International Airport was arrested and charged with disorderly intoxication and interference with aircraft operations after she was belligerent and uncooperative when her flight landed in Fort Myers. The woman started using foul language and when the flight landed, she pushing people out of the way, nearly knocking over an elderly passenger. Deputies struggled to detain her, eventually taking her to the ground to put her under arrest. Indonesia, Jakarta: An Indonesian Air Force Embraer EMB 314 Super Tucano on a routine maintenance flight crashed into a house on the country's main island of Java. The pilot who ejected was found dead near a rice field about 8 kilometres (5 miles) from his parachute, while the technician is still missing. A man and a woman living in the house died while being treated at a hospital. A neighbour who witnessed the crash said that the plane appeared to be nose-diving out of control with smoke billowing from its tail when it crashed. Myanmar, Naypyitaw: Four Myanmar military personnel were killed and one survived Wednesday when an air force Beech 1900, a 19-passenger twin-engine turboprop utility aircraft crashed after taking off from the airport in the capital Naypyitaw. The sole survivor, a corporal, has been hospitalized. A farmer who was working his fields saw the crash and ran over to it to try to break one of its windows with a spade in order to get the passengers out but the fire was already out of control. USA, Alaska: An Alaska Airlines plane was forced to land midway through its flight after an intoxicated passenger, who apparently became upset after the flight attendants would not let him drink the nips [small bottles of alcohol] he brought on the flight, became abusive and threatened crew members. The pilot diverted the plane to the closest airport at Denver where police boarded the plane and escorted the man out of the aircraft. USA, Washington: A 30-year-old man was spotted at the Arlington Municipal breaking pieces of an Alpha jet causing damage estimated to be of approximately $30,000. The man who had who had jumped a fence appeared deranged and unpredictable and was arrested. He reportedly told police he was at the airfield to locate what he thought was Paul Allen's aircraft. Allen was the sponsor of the SpaceShipOne flight that won Scaled Composites and Burt Rutan the $10 million Ansari X Prize." The man stated that he caused the damage to the Alpha jet as Allen was in violation of federal law by possessing a military aircraft. The damaged aircraft did not belong to Allen. Allen does own a German built twin engine Alpha light training and strike jet that was used as a chase plane during the successful bid. USA, Birmingham: An Allegiant airplane made an emergency landing at the Birmingham-Shuttlesworth International Airport caused by an electrical odour in the cabin. None of the 153 passengers were injured. The flight took off again after a six hour delay. Allegiant Airlines confirmed that the sane aircraft had to make an emergency landing less than two months ago in Chattanooga, Tennessee. UK, London: A laser incident forced a pilot of a Virgin Atlantic flight to New York to return to Heathrow. Following this incident, the first officer reported feeling unwell. The decision was taken by both pilots to return to Heathrow rather than continue the transatlantic crossing. London's Metropolitan Police Service is investigating, but there have been no arrests. Britain's Civil Aviation Authority recorded 48 laser incidents at Heathrow Airport in the first half of 2015. February 17 1864 - Birth of Hilda Beatrice Hewlett, first British aviatrix to earn a pilot's license, successful early aviation entrepreneur. She created and ran the first flying school in the UK. February 18 1977 - First flight of Space Shuttle Enterprise atop a Boeing 747 Shuttle Carrier Aircraft (SCA) to measure structural loads and ground handling and braking characteristics of the mated system. February 18 1973 - Daniel Bouchart and Didier Potelle land 19,568 feet up on the summit of Mount Kilimanjaro, Tanzania in an SA 319 B Alouette II helicopter. February 18 1921 - First successful flight with a helicopter by Étienne Oehmichen. February 19 1942 - "Pearl Harbor of Australia", largest attack ever mounted by a foreign power against Australia. Nearly 250 Japanese warplanes attack the northern Australian city of Darwin killing 243 people. February 20 1977 - Death of Cristoffel Johannes "Boetie" Venter, South African WWI fighter ace, Director-General of the SAAF durin WWI and later, director of South African Airways. February 20 1875 - Birth of Marie Marvingt, French athlete, mountaineer, and aviator, and the most decorated woman in the history of France. First woman to fly combat missions as a bomber pilot during WWI, a qualified surgical nurse, first trained and certified Flight Nurse in the world. She worked for the establishment of air ambulance services throughout the world. February 21 1995 - Steve Fossett lands in Leader, Saskatchewan, Canada, after taking off from South Korea, becoming the first person to make a solo flight across the Pacific Ocean in a balloon. February 21 1979 - Former astronaut Neil Armstrong climbs to 50,000 feet in Kitty Hawk, North Carolina in just over 12 min in a Gates Learjet Longhorn 28, breaking five world records for business jets. February 22 1913 - French aviator Jules Védrines becomes the first pilot to fly over 100 mph, behind the controls of a Deperdussin Monocoque near Pau, France. February 22 1900 - Birth of Paul Kollsman, American inventor who invented barometers and instruments for instrument flight in airplanes. February 23 1916 - Birth of Paul Warfield Tibbets, Jr., brigadier general in the USAF, best known for being the pilot of the B-29 'Enola Gay', the first aircraft to drop an atomic bomb in the history of warfare. February 23 1901 - Birth of Ruth Rowland Nichols, American aviation pioneer, who was the only woman to hold simultaneous world records for speed, altitude, and distance for a female pilot.